How Many Miles Would You Run/Hike for a Free Jackson Hole, WY Season Pass? Season pass prices are going up and up, so anyway there is to bring that price down, or even score one for free, we’re all ears. If Jackson Hole, WY is your mountain, and you’ve yet to buy your pass, then how about logging miles to win one. JOIN THE JACKSON HOLE STRAVA GROUP FOR A CHANCE TO WIN A GRAND PASS AND $5,000 WORTH OF PRIZES! 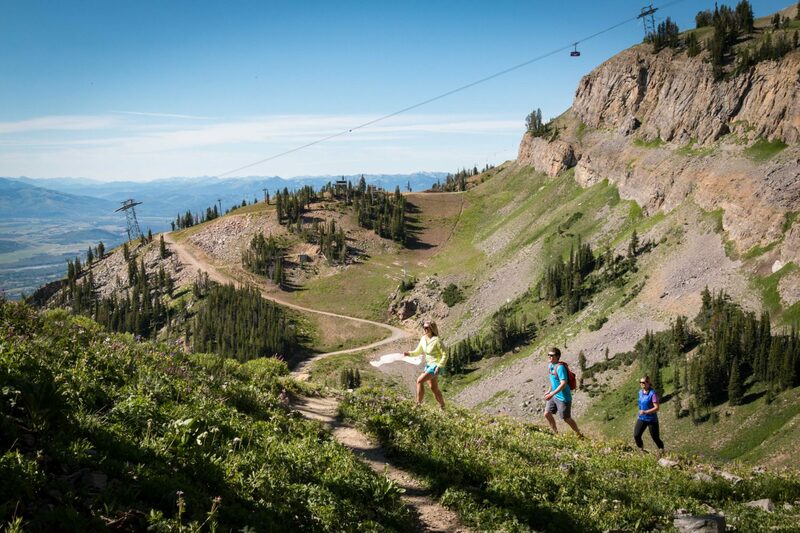 Take part in #thetrailstartshere challenge at Jackson Hole Mountain Resort this summer! Run or hike around the resort, track your activities, and get entered to win a Grand Pass for Winter 18/19. As our trail system improves in Teton Village, we want you to get out and enjoy it this summer! We’ll see you on the trail. Now until Sept. 15, hikers and runners can track their activities around the resort with the Strava App. The individual with the most miles logged in Teton Village will win a winter 2018-19 Grand Pass. Prizes will also be awarded for logging the most vertical feet, most total runs and most top-to-bottom runs. Participants’ names will also be entered in a raffle for tracking each hike or run that starts or ends at Teton Village. More than $5,000 in giveaways will be raffled off at the end-of-season celebration Tuesday, Sept. 18 at Teton Village Sports after the contest concludes. Jackson Hole Mountain Resort is one of 27 iconic destinations available on the Ikon Pass. Click here for 22% off! Click here for 31% off!